All decent software should give you statistics in real time, so you can tell who is opening and who is clicking the links. Creating specific landing pages will also increase your conversions. Whether you send e-shots or e-newsletters, they have a better chance of working if you are intentional about it. E-shots are simple direct sales messages, or you could add multiple products. 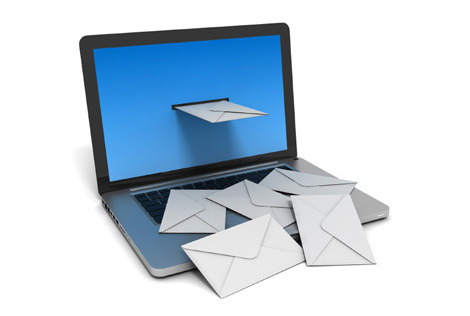 E-newsletters are mainly for keeping in touch with your audience; they should be informative and not be used to sell. So why are you sending emails to your database? What it the purpose? To keep in touch, cross-sell, are they a training course, or just direct sales? Be honest about your intentions, and then think about the recipient to decide which format is best for the purpose. It is possible that a mixture of e-newsletters and e-shots is best. Prepare a schedule for the year, yes a whole year. If you are going to be taken seriously you need to be consistent. Decide how often you want to send emails and plan in advance what day they will go out. There has been lots said about the best day and even time of day to send emails, and this will vary depending on your industry, the message, and the type of data you have. Whatever day you choose, experiment and test different theories. Split your data. Test, measure, and analyse. You know that good design will give the right impression from the outset and it is never more important than when your email drops into a prospect’s inbox. Consistency is critical, both for the look and when you send. There needs to be a balance between ease of use for you and a great experience for the recipient. So, you need a template to make creating your e-newsletter simple every time, and at the same time it has to be a design that has brand consistency and is not boring when you have seen it many times. Doing this part of it yourself is usually disastrous; get yourself a designer to do this for you, someone who understands what you are trying to achieve. If you get this right you may not need outside help for the content. Register with your competitors to receive their e-newsletters, read more articles, and search Google about the subject. While you do this, keep your client/prospect in your mind, and work out what message you want to put forward. Write bullet points or a list; be prepared before you write your content. Your title has to be engaging, it has to make the reader want to see and read more. To avoid going straight to the trash folder you must avoid using sales words. Just tell it as it is. Some people like to use a question in the title, personally I like to see numbers (7 ways to…) where possible, but sometimes a simple title works like ‘Autumn Newsletter’. Think about the recipient and give it the best title you can. There is always a tendency to write what you want to say rather than give people what they want. Think about your audience and write content that will help them. Keep the length of copy down by linking to other articles or blog posts you have written. Be true to your audience, if your intention is to sell to them then do it, but if you are sending an informative e-newsletter you should never sell. Prepare your text as if you are talking to one person, and make it look great. Use a well designed template, a good looking font, and a few relevant images, but do not overcook it. Set up your website data-capture to ask for first names, and use them near the top of your email. Personalisation makes a huge difference to results. The software you use or the agency that does it for you must fully understand data protection laws. When people register you should use a double opt-in system, and it is also good to use ‘auto-responders’ to make the most of the opportunity. All decent software should give you statistics in real time, so you can tell who is opening and who is clicking the links. Depending on your audience, it might be appropriate to follow these with specific emails about the link they clicked. Creating specific landing pages will also increase your conversions. Also track all of this in Google Analytics giving each campaign a unique name. Almost all of our clients have come from email marketing referrals, and there is nothing better than when clients get orders direct from this type of digital marketing. What is your experience in email marketing? If you have had bad or good experiences, please let me know. It will be great to hear from you.